Rooster hails from Columbus Ohio, with a southern Appalachian heritage of Southern Gospel and Bluegrass. He has performed in several bands and as a solo act. 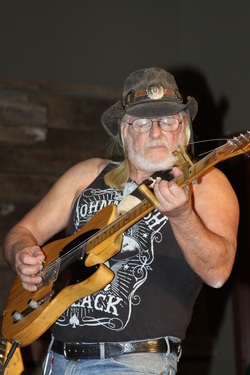 Rooster has extensive musical experience and has performed on the same stage with many Grand Ole Opry fame. He has seen life from all sides and chose to walk the correct path in 1992. His desire is to reach those in the same lifestyle he left. Cliff has always had a passion for music, honed from listening to his favorite band cruising through town to concerts at the local arena. But it wasn't until his late twenties when he picked up the guitar that he was truly hooked. By playing along with his favorite songs and taking personal lessons when he could afford it, he slowly honed his craft. Cliff has been a part of many church worship teams; learning from those he played with and admired, soaking in everything he possibly could. Then came the first real band, The Pledge; he felt his calling by ministering through music. Several years and several bands later Cliff found himself teamed up with a group of like-minded and faith driven musicians, that being God's Dirt. Cliff shares his passion through powerful chords and crying solos. He speaks of life's struggles and a God that always has a hand stretched from Heaven to lift us up out of the wreckage. Just ask him, he has no problem sharing. Kevin started playing drums on the bottom of trash cans with Lincoln Logs as a youngster. His parents started him in formal lessons at age 9. He played drums and percussion through his school years in marching, concert bands, and at solo and ensemble competitions. He formed his first rock band, Brokensword, with friends in the early 80’s. Those friends evolved into the heavy metal band, Trigger Zone, and played regularly throughout central Ohio. A few years playing in the bars began to make Kevin feel he was on the highway to hell to sin city and he left the band. He was contacted by the progressive rock band Travisty and decided to take up the challenge. A couple more years playing cover tunes in bars again left him disenchanted. Kevin left the band scene and went to school to become a recording engineer. He became Chief Engineer and played studio drums at Musical Moods in Etna, OH before leaving the music business to return to his family’s business. After a 20 year hiatus, Kevin felt a calling to play again, this time for the glory of his Lord and Savior, Jesus Christ. He joined God’s Dirt in May 2011. ​ ​Andy has a passion for serving God and Jesus Christ through music ministry. Andy started learning about music at a young age in school, and now plays guitar, piano/keyboards, and bass guitar. 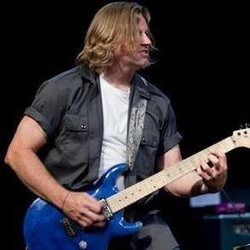 He has played in worship bands in church for several years, and in other Christian bands also. Currently in addition to being the bass guitarist for “God’s Dirt”, he is an instrumentalist in the worship band at his home church “The Bridge”. Andy enjoys finding new, and improved ways to help people have a better worship experience, and helping them draw closer to God during concerts the band performs, and during worship services. He is currently taking piano lessons, and learning more about how technology and computers can be used in creating music, and also a better worship experience.